“Master, I do not understand.”, said the disciple. The disciple came back the next morning to find his master standing with the two pots. He held up both the pots and then threw them to the opposite sides of the room. 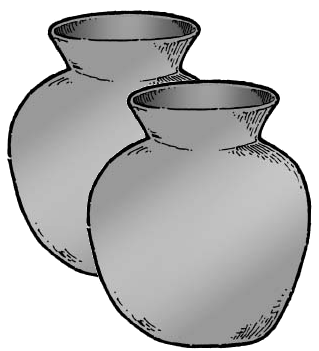 The pots smashed, and the water from both pots flowed towards the center of the room, forming a puddle. In that moment, the novice was enlightened. I was talking to my CSE 200 (my first CS class at ASU) professor Richard Whitehouse about bAdkOde and he (rightly) pointed out that it didn’t have an explicit selection statement. He also said that unless I wanted it to be really ugly I’d need to have a selection statement. However, since I was going for ugly I figured that I’d just emulate the operation of an if and an if-else with the existing while statement. # print the string "zero"
# non-zero and so we can enter this block. # print the string "non-zero"
Ah 421! I love this class. It’s so hard. It’s a lot of work, yet I love it. I love programming in Assembly. This is where you’re but one level from the processor… manipulating its guts. Telling it what to do. There are no nice if-else statements here. No print statements. It’s at a way more primitive level than that.